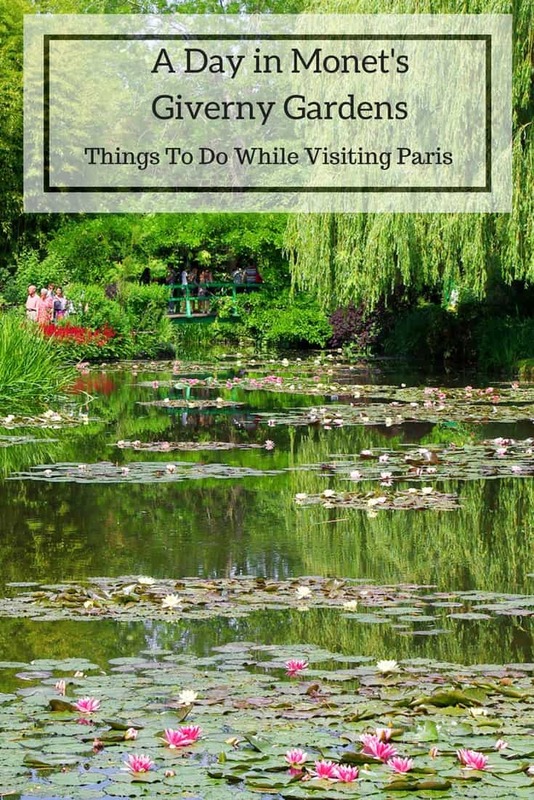 While visiting the Orsay on our first night in Paris we paid special attention to all things Monet, as we knew we were heading to Giverny a few days later on another Context Travel tour. 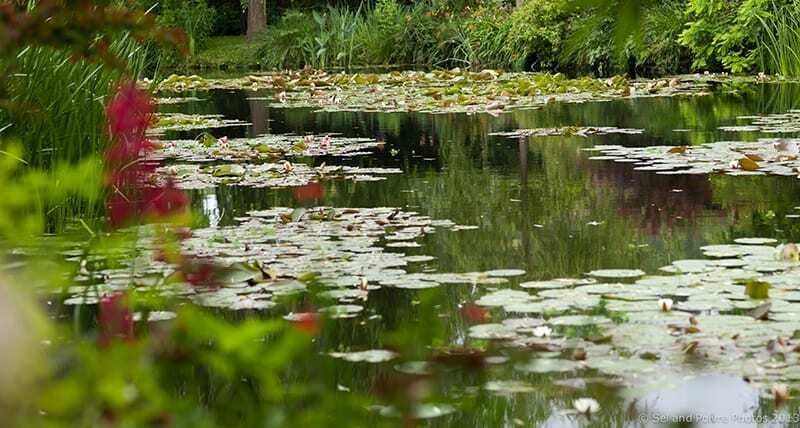 Giverny is a little town 45 minutes by train from Paris and the former home of the painter Claude Monet. We met our docent, Marie at the train station (Gare St-Lazare) along with another couple visiting from Colorado. We had a lovely train ride where Marie told us about Monet’s life and how he ended up in Giverny. As always, the Context Travel team continually impresses me with their deep knowledge and ability to field questions expertly. We arrived at the station in Vernon and after a 7-minute bus-ride we entered Giverny. And into a dream world. I was first inspired to visit this location after a brief visit to Les jardins d’epicure, a lovely chateau in Bray-et-Lu (which is near Giverny) that Mr. Misadventures and I stayed at on our way to Brittany. Then I read my friend Kasia’s post from her visit to Giverny and knew I had to visit one day. I was not disappointed. Like I said above. It is a dream world. One that is a lovely shade of soft green. Throughout our visit, Marie chatted with us, providing insight about the grounds and the life of Monet. Because the green was so vibrant, the colors in the flowers popped even brighter. 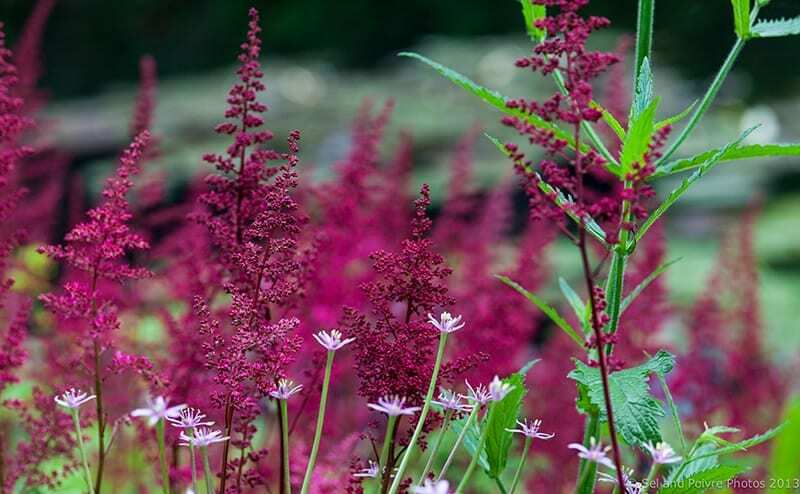 Gorgeous shades of red and purple. After visiting the ponds we headed to Monet’s gardens and home. 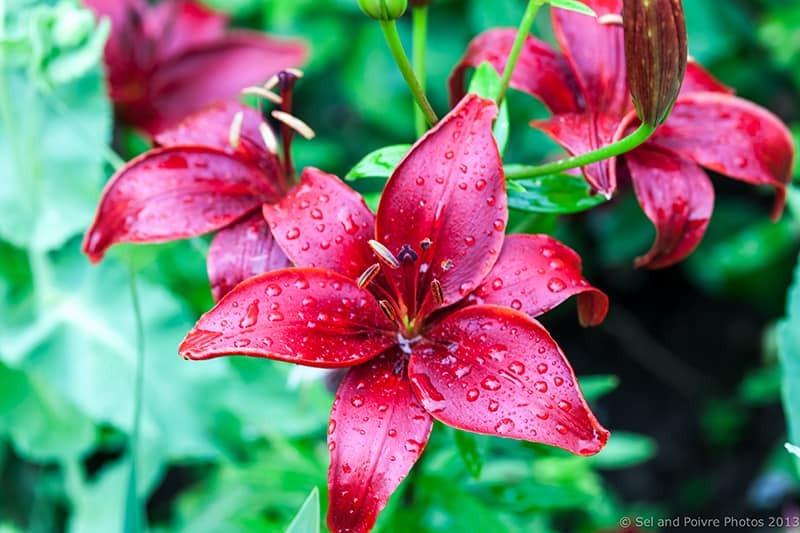 There are many parts where the flowers are growing wild, other spots that are still maintained. All absolutely gorgeous. The line to get in the house was quite long, so while other members of our tour stood and waited, Mr. Misadventures and I were content to sit at one of the benches and enjoy the lush, green gardens. We met a local one who decided to do a Sunday visit to the gardens as well and it was so lovely chatting with her and learning some of the local history about the house and neighborhood. Everything happens for a reason. Sitting on the bench allowed me to meet someone who shared stories about the property. The group decided to walk around the town a little before heading back to the train station. 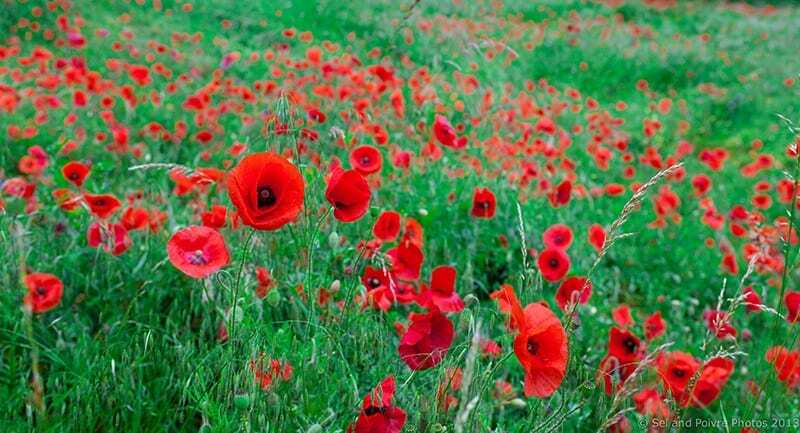 As we walked around, we spotted this beautiful field of Red poppies (coquelicots). While I highly recommend Context Travel, Marie definitely enhanced our trip, this is a trip that you can do easily on your own while visiting Paris. It is a short train ride from Gare St-Lazare station in Paris to Vernon station. 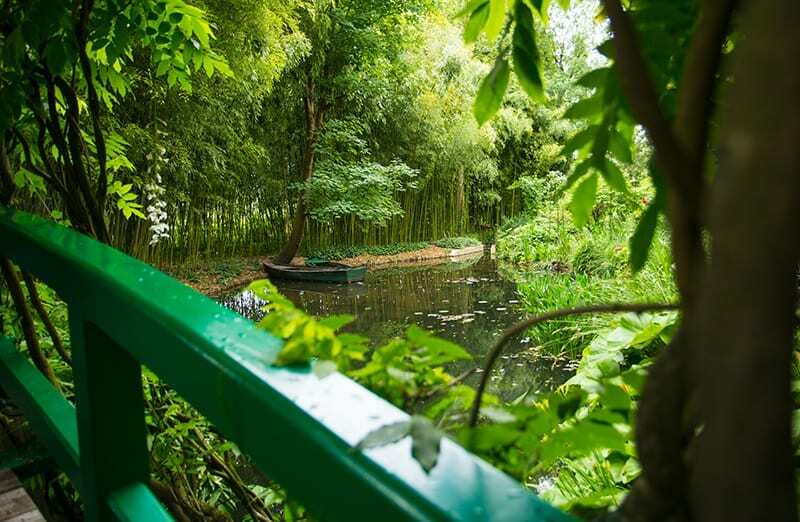 Grab a bus from the station (you can purchase your ticket at that time – have cash) to Giverny and make a day of it! Kasia of Love in the City of Lights wrote about Monet’s Masterpiece. Lindsey of Lost in Cheeseland wrote about spending an afternoon with Monet. 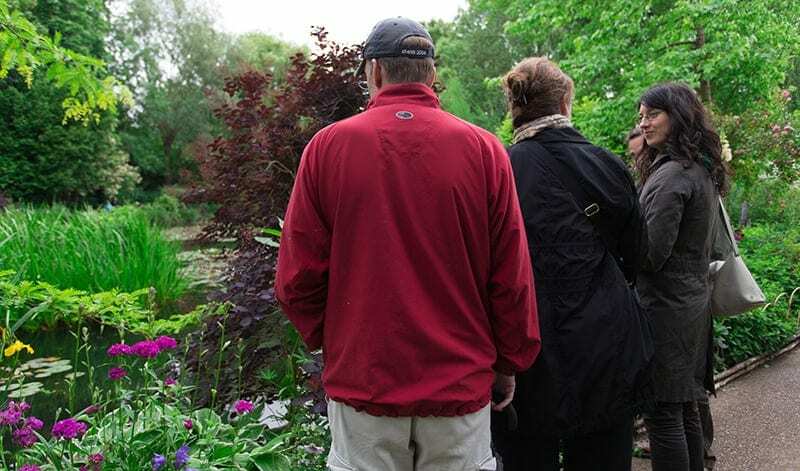 Rashmi of Go Beyond Bounds wrote about spending time in a garden born and cherished by a painter’s imagination! How about you? 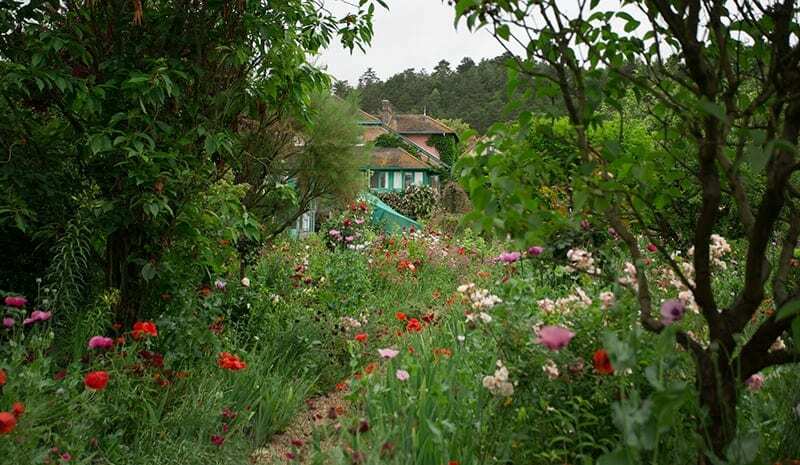 Have you been to Giverny? How about the home of other artists? Here are more highlights of Giverny from AFAR. Very beautiful. Those purpley-red things are gorgeous. @Jen, love the description “purpley-things” that the only name I know them by as well! 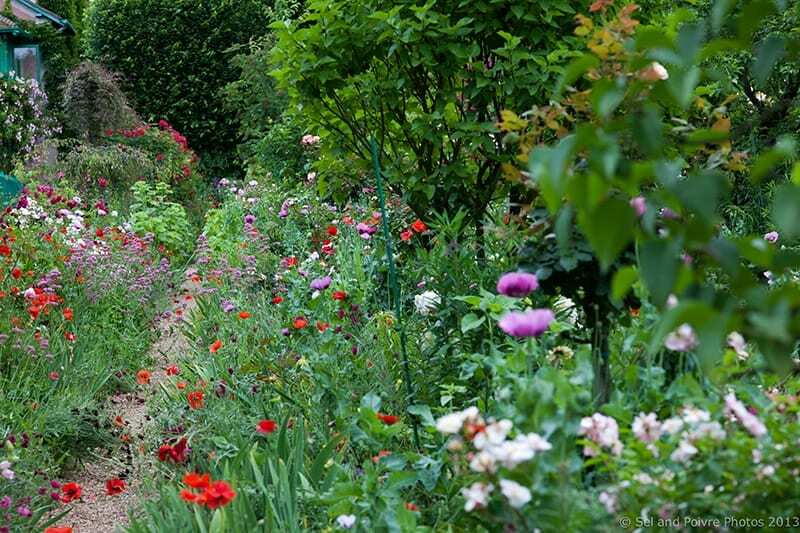 I’m dying to visit Giverny, and your photos totally remind me why – it looks so lovely! @Laura, it is incredibly beautiful! I highly recommend it! It seems to be in the air! I just went to Giverny a few weeks ago (it’s my most recent blog post!) and was so happy to finally be in the dream world, too. For years I’ve wanted to go, yet never seemed to make it. Silliness! It’s so easy to get to from Paris, as you say. Thanks for the beautiful photos. It was certainly a fantastic day-trip for me, too. @Sion, thanks for sharing I can’t wait to see your post. The place is so dreamy! Beautiful! A good friend of mine just got back from France and hearing about his trip has me thinking that maybe that should be my next big trip. There is so much that I would love there…but I havne’t been there since I was a teenager! @Jenna, it is a really zen place, so beautiful. It is amazing how much those photos look like Monet’s paintings. Absolutely breathtaking!! I have never been but my Lord it’s beautiful! That’s just from the pictures. I would love to go one day. It looks like paradise. I would have never come home. I have never been able to venture out of America, but Giverny sounds like a wonderful visit. Definitely on my bucket list! Thanks for the Post and the Picture’s! 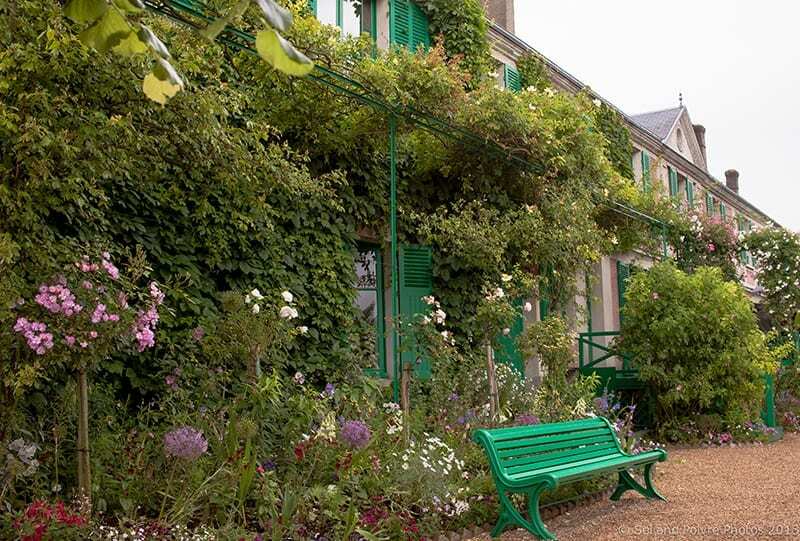 I love how you call Giverny a “dream world” – that is exactly how I would describe it. I go as often as I can when I am lucky to be in Paris. And one of the only pictures I will show of myself is one taken at Giverny. This is so gorgeous. I would like to someday go. Thank you for sharing with us! @Iris, it is a magical place! What an exciting life you live! I’ve never left the shores of the US, hope to change that one day. I wanted to tell you that I can’t get the boxes to work on your main blog page. It’s stuck on random. Just thought you’d want to know! Thanks for sharing! Love Love Love that flower close-up. What a gorgeous color! @Wendy, thanks for letting me know, there are a couple of other weird things going on because I refreshed my blog design over the weekend, I have someone helping me fix them, so much appreciated! There is so much to explore in the U.S. we are so lucky to have just about everything here in our own country. These pictures are absolutely exquisite. I’d love to go to Paris. @Julia, do you have something you are particularly looking forward to seeing there? I love love love this blog ….photos, experiences, interviews….everything!! You are truly living your dream!